25 Days until the Barrie Colts Home Opener! (Darren Archibald) #OHL - Very Barrie Colts | A website covering the Barrie Colts of the OHL. 25 days until the start of the Barrie Colts 2017-18 regular season! Darren Archibald wore 25 with the Colts for just over two seasons. He was selected 127th overall by Barrie at the 2008 OHL Priority Selection draft. The Newmarket, Ontario native played in his rookie season with the Ponies in 2008-09. In 68 games he would score 25 goals, 24 assists for 49 points. He completed the season a +13 and would go on to score 7 points in 5 postseason games. 25 goals that season would earn him the number 3 spot on the Colts all time goal leaders for rookies in a season. Only Denis Shvidki (35) and Bryan Little (34) scored more in their OHL debut season. 24 assist still holds as 7th most all time for a Colts rookie. The following season would be his final full season in Barrie. Over 57 games that year he would score 26 goals and add 33 assists. The following season he would play in 24 games posting 18 goals and 12 assists before being traded to Niagara for John Chartrand and some picks. His OHL career would see him play in 186 regular season games where he scored 92 goals, added 82 assists for a total of 174 points. He would go on to get picked up by the Vancouver Canucks in 2013. Since, he has spent most of his time in the American Hockey League. He has 135 total points over his career. 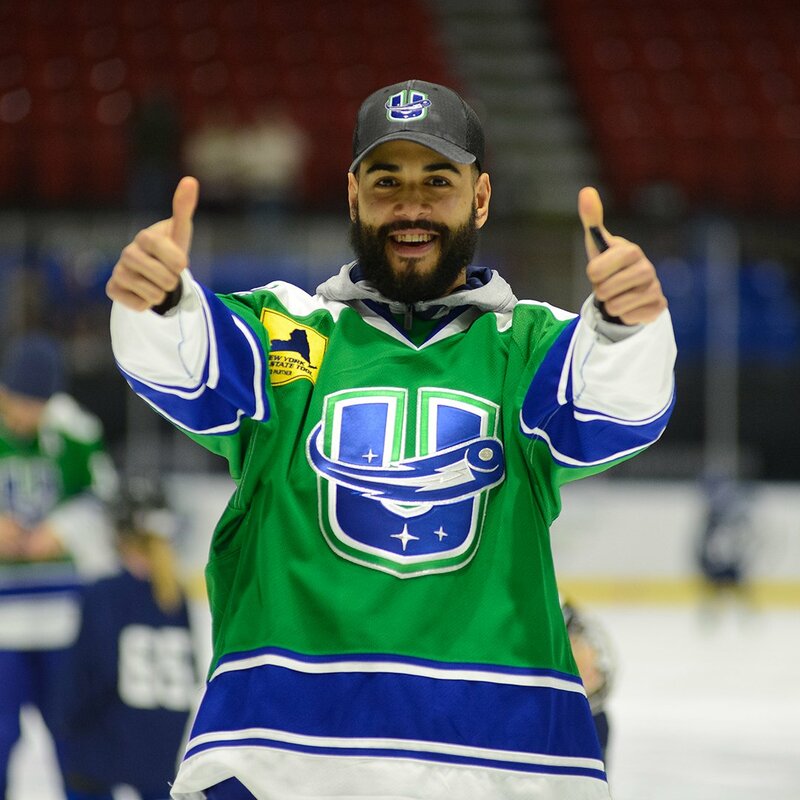 This upcoming season he is set to return to the Utica Comets.